At the heart of the Grand Strand, Myrtle Beach is alive with all the fun and excitement that draws millions of tourists to its beaches each year. Incredible dining experiences, from seafood to the perfect steak, fantastic shopping at Broadway on the Beach, family fun, awesome golf at over 100 championship courses, and of course, the beaches – there is always something to do in Myrtle Beach. On Highway 501, between Conway and the Beach is the community of Carolina Forest. This master-planned neighborhood covers 9000 acres and features many of the amenities you would expect to find in a city, including stores, professional offices, restaurants and its own schools, the best in the state. Housing is diverse with cozy, attractive homes for less than $200,000 and elegant waterfront mansions in the millions. Carolina Forest homes are built around the Witch, Wizard and the Man O’ War golf courses which were the designs of Dan Maples, the renowned architect. With a variety of prices and sizes to fit all families and budgets, the neighborhood has many lakes, inlets, and nature trails integrated into its layout. The gated community of Covington Lake offers custom built stucco and brick homes from $200,000 to $300,000 with lots of up to a half acre. These 3-4 bedroom homes feature granite countertops, hardwood floors, fireplaces and professionally landscaped yards. 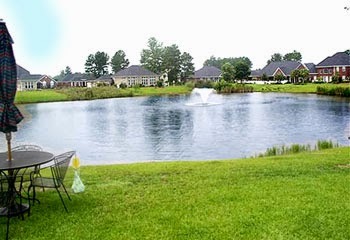 The community has 12 acres of well stocked lakes, a pool with a cabana, lit sidewalks, and a playground. Covington Lake East is a newer development with home sites priced around $40,000, a few in foreclosure. There are 200 home sites located on 10 acres with half the lots bordering one of three lakes. Whether you are looking for the excitement of the Grand Strand or want to commune with nature, you are sure to find your dream home here. 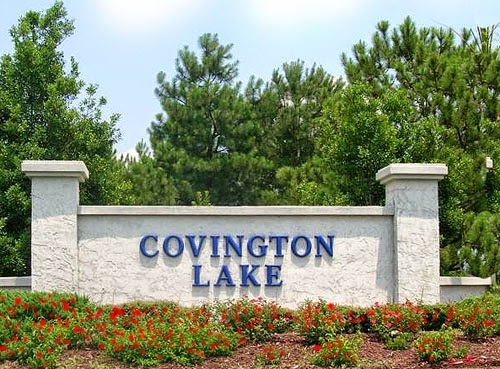 Let us show you the enchanting neighborhoods and the gorgeous homes for sale in Covington Lake.